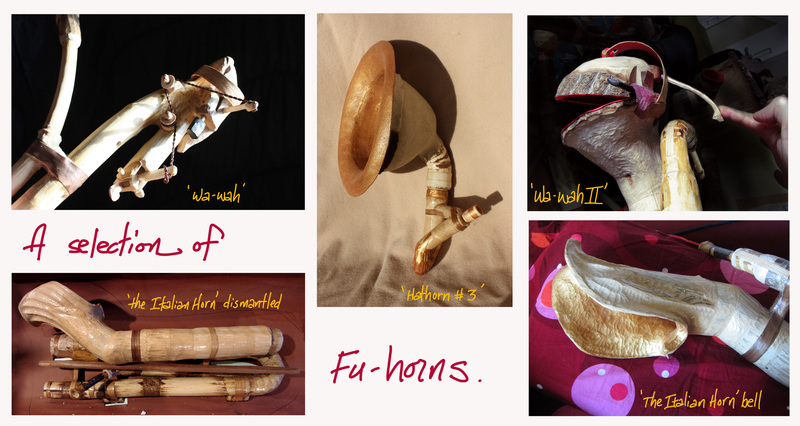 What’s a Fu-horn? 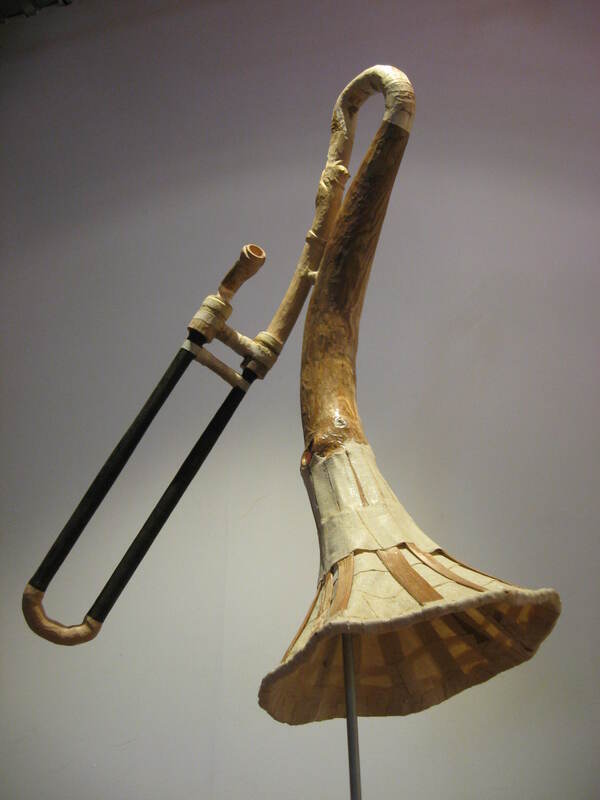 As in karate, meaning ‘the way of the open hand’, so should ‘Fu-horn’ evoke the way of the hornmaker or player. ‘Fu’ in Chinese means either ‘man’ or a suffix to evoke ‘intensity’. Either will work to describe the studio products of a guy called Mr. Fire-Man. A pair of trumpets on the hillside at the MOP Garden in Mount Pleasant. Don’t blame me for being showy. There’s no joy quite like a new horn. 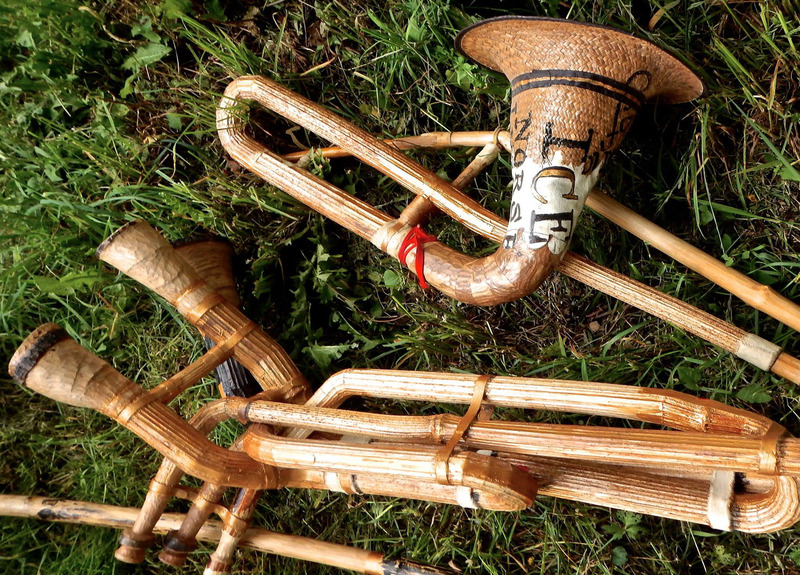 In particular, there’s no joy like a new horn with moving parts. 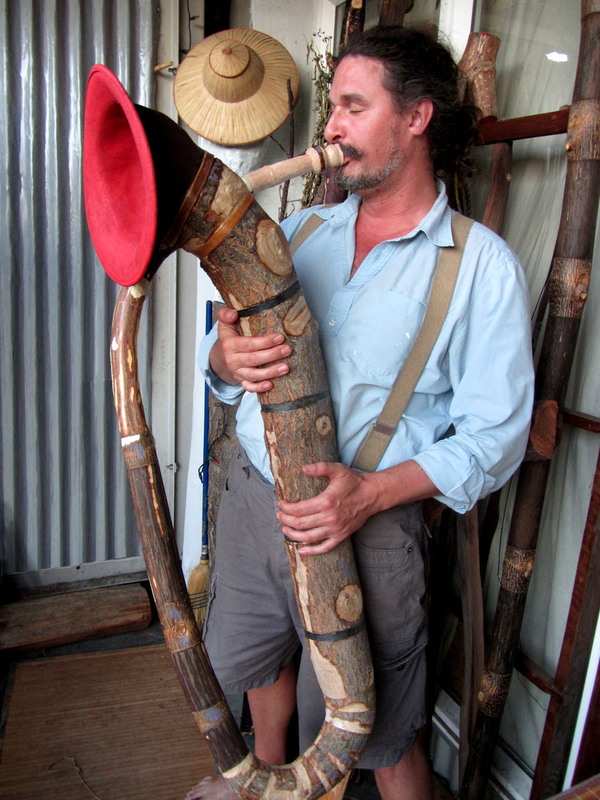 This fine elderberry piece called ‘the Wah-wahorn’ is a return to smaller instruments after many years pursuant of giant sound chambers (mostly made of hogweed). The reason? They work. 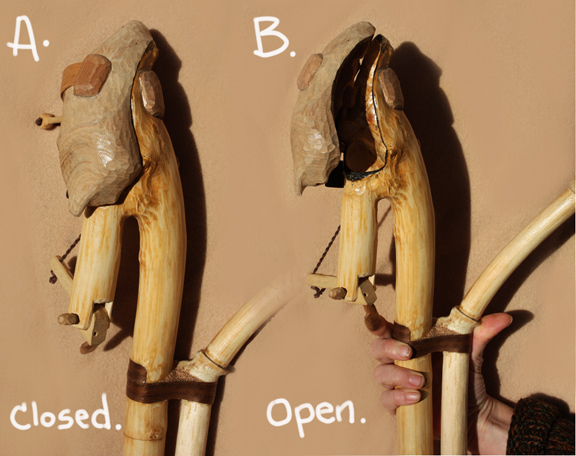 The state of this art is derived from several years experimenting with wooden (or relative natural materials) chambered horns. These days, I’m only interested in chambers designed of one piece that self-drain when upended after playing. 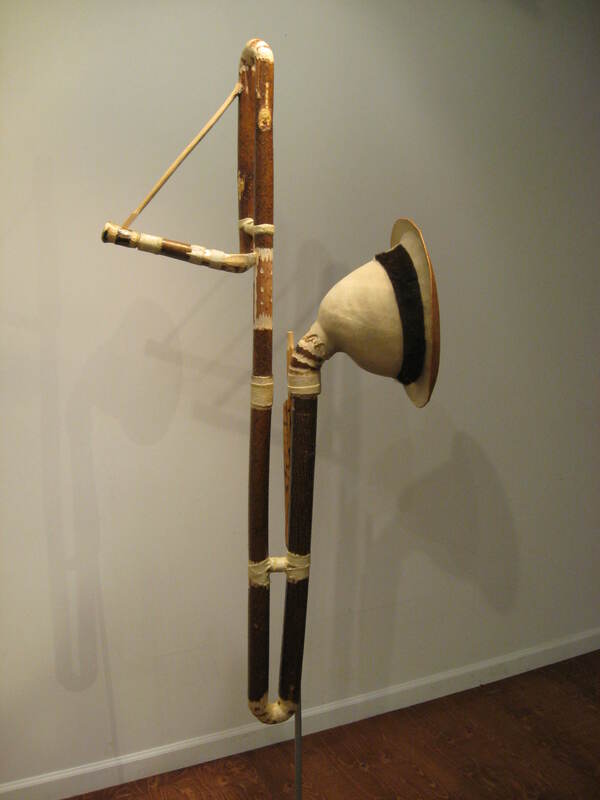 Below is an old prototype of a trombone, complete with moving slide. The Travelling Horn (with detachable bell/hat). 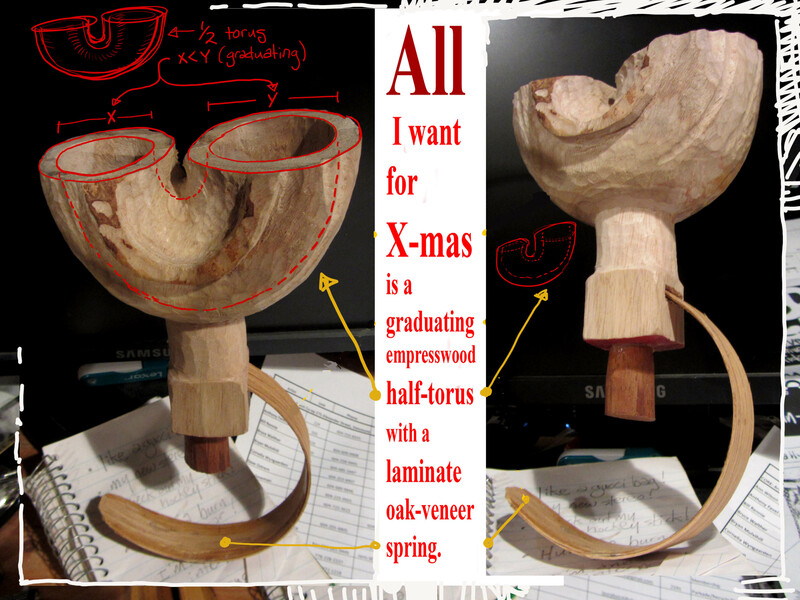 The hat is felt hardened with varnish. 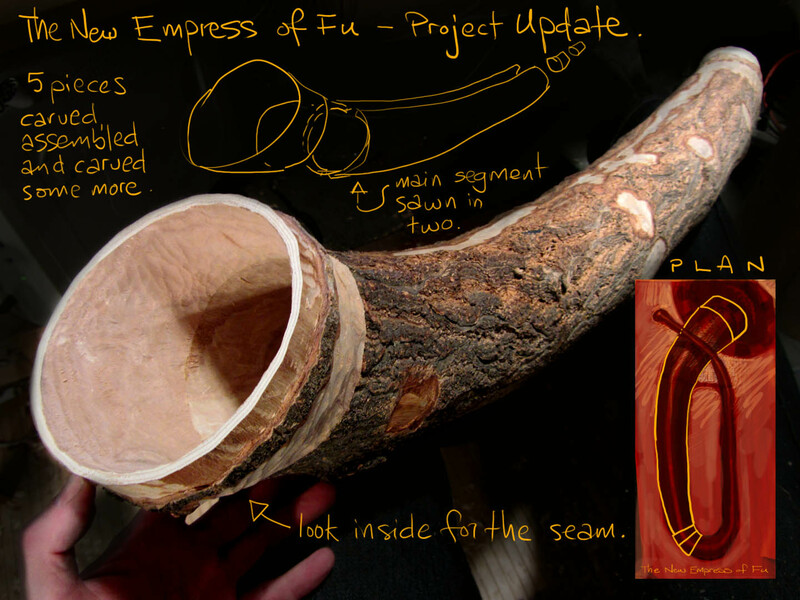 The main part of the horn body is empress wood. Met you @ Critical Massive. 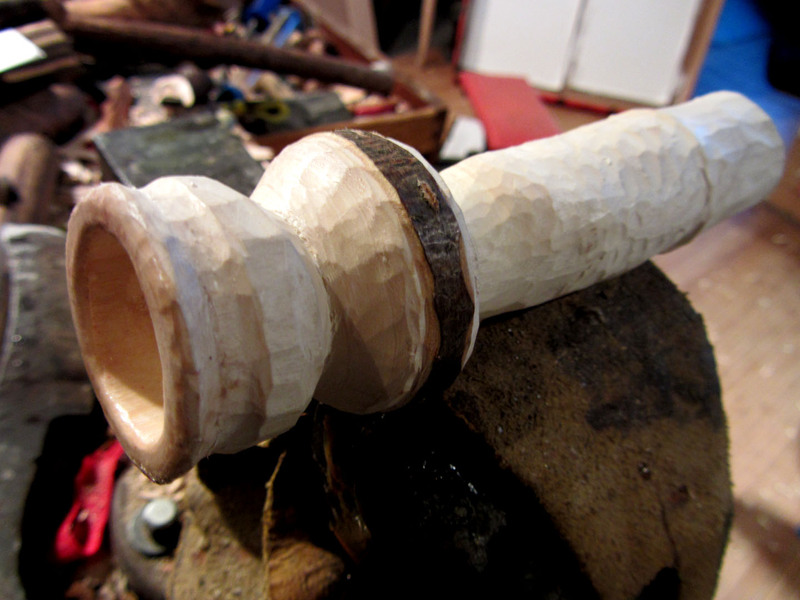 I was amazed by your wood horn. Fantastic site. Thanks. Wonderful! I’d love to hear them played! Brother, I miss your eccentric breath of fresh air! Let’s go look for sticks!!!!!:)…. It’s been years! Hi Samm! Are you in Vancouver? Come to the show at Lanalou’s on the 21st of March. I’ll post the event poster. I hope you are well.